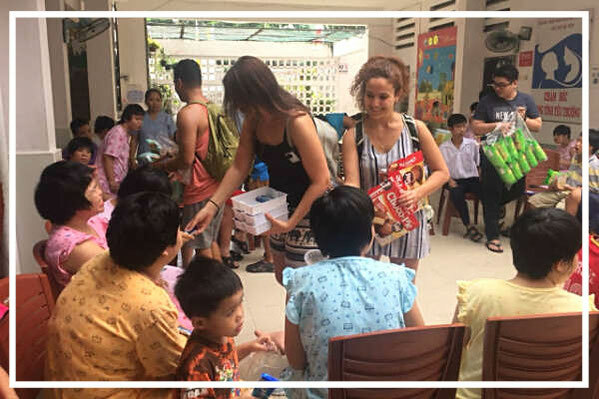 Each year, thousands of Vietnamese children are being abandoned on the streets, either because they were born out of wedlock, or simply because their parents no longer have the financial means to take care of them. If found, these children are brought to orphanages around the city, usually funded by private organisations and NGOs. But the number of children who need help continue to grow. Currently, the number of caretakers to children in orphanages is about 1 : 100. Hence, each child receives very little attention and care. The conditions of which they live in are also less than satisfactory. Thankfully for them, there are 80,000 people like you, as well as our corporate volunteers. Very affordable fees - as an organisation committed to serving the community, our volunteer tour prices are kept as low as 90usd. Safety-first - volunteer safety is a top priority for us, and we ensure that all necessary precautions have been put in place before the start of any project. Integrity-first - the legitimacy of our partners have been ascertained through our numerous projects with them. Also, we do not accept donations in cash. Good company - as a volunteer, you are always in the great company of our professional volunteer guides, as well as other experienced volunteers from all over the world. Time for fun - volunteers who commit to 5 days or more will be treated to a complimentary "volunteers' day of fun" that is not offered in any of our packages.